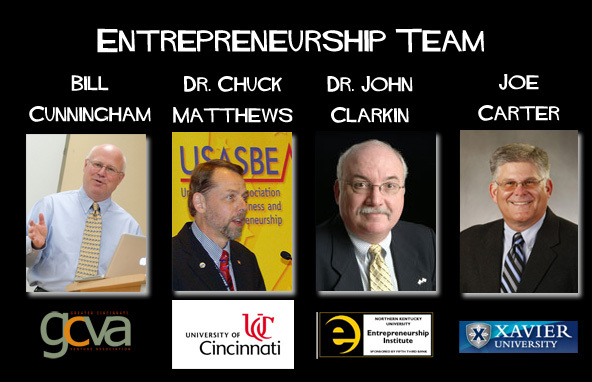 Welcome to Volume 1, Number 1 of Entrepreneurship in Cincinnati. This column first appeared in the Cincinnati Post from 1998 to 2001 as SmallBizIdeas- a collaboration with the late Sutton Landry of NKU, Dr. Chuck Matthews of University of Cincinnati and Bill Cunningham of Xavier University. Since that time, the greater Cincinnati entrepreneurial ecosystem expanded exponentially. The Greater Cincinnati Venture Association presented more than 100 startup plans over the last decade. Queen City Angels, Bad Girl Ventures, CincyTech and a growing number of private investors have fueled the fires of entrepreneurship. The Haile Foundation increased entrepreneurial visibility by sponsoring InOneWeekends, Cincinnati Innovates, CEOs for Cities and most recently, Springboard — an entrepreneur bootcamp for artists, artisans and creative entrepreneurs. The time is right to relaunch the publication and stay on the leading (bleeding) edge of all things entrepreneurial in Cincinnati. Cincinnati’s entrepreneurial ecosystem is alive and well — with many organizations doing the heavy lifting by encouraging, coaching mentoring, funding, connecting and collaborating with many entrepreneurs, investors and smart people who can help! CincyEntrepreneur will curate the progress of this journey, offering helpful insights, thought leadership and innovative ideas from our ecosystem and beyond.